In today’s rapidly changing technological world, universities are hubs of creativity, culture and innovation. Through excellence in learning, discovery and community engagement, universities prepare our next generation of cultural creators, innovators and leaders, who in turn bring Canadian content to international audiences and act as ambassadors for Canadian culture. They teach arts and culture, the fine and performing arts, design, journalism and communications, and more. Faculty author most of the academic material used by today’s students. In this way, universities are both users and creators of copyrighted material, and seek a balanced approach to copyright law. Universities have spent over $1 B in the last three years combined on purchasing library content - and it's increasing annually. Source: Statistics Canada, Financial information of universities and colleges survey, 2013/14-2015/16. Universities offer more than 3,000 academic programs that cover the breadth of culture, including the fine and performing arts, design, journalism and communications, as well as the humanities. Source: Universities Canada, Directory of Canadian Universities, 2016. Learn how Canada can be a leader in the global creative economy by harnessing universities’ strengths and expertise. 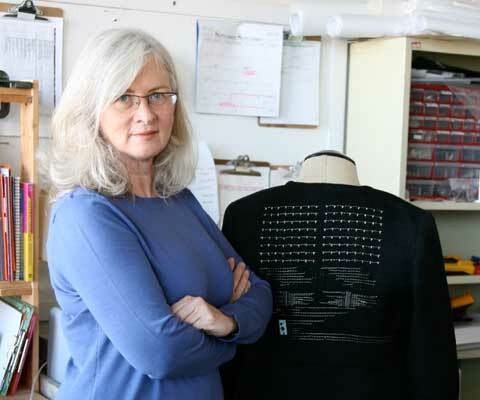 Barbara Layne, a Concordia researcher and professor of fibres and material practices with the Faculty of Fine Arts, has created smart textiles: clothes that can send digital messages. Her team embeds or “lays” technical fibres onto a piece of cloth and connects them to micro-controllers. This process creates all kinds of creative and commercial possibilities: from enabling audience members to engage more interactively with performers during a show; to helping firefighters send each other messages in a noisy, smoke-filled room; to allowing hospitals to monitor the biomedical status of patients through signals relayed through their clothes. Jonathan Rose, a professor of electrical and computer engineering at the University of Toronto, has become known for his “creative applications for mobile devices” course open to students of all departments. In recent years, students have developed apps for everything from an audiobook club to a system that renders Russian song and opera text into the International Phonetic Alphabet. Given that students must explain their software projects to the class in lay language, one recent app may be particularly à propos: it provides real-time feedback to public speakers. Professor Rose was one of three winners of the 2016 U of T President’s Teaching Awards. The stunning Indigenous exhibition “Opening Doors” will now travel around the world. Working with an Indigenous mentor/instructor, 10 Indigenous artists with varying levels of carving experience participated in the yellow and red cedar door panel carving project. The project is a result of a partnership between the UBC’s Centre for Advanced Wood Processing, Emily Carr University of Art + Design, the Freda Diesing School of Northwest Coast Art and FP Innovations. 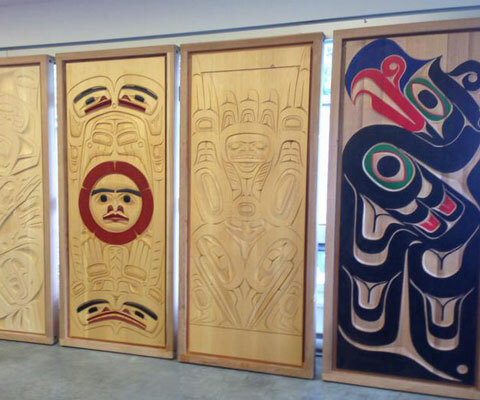 The artists work individually or in pairs to develop unique functional door panels that reflect and celebrate their Indigenous ancestry in traditional and contemporary styles. Artists can choose to have their original panels digitally scanned and reproduced in a CNC machine in a limited edition series. The reproduced panels are hand-finished and sold to consumers. 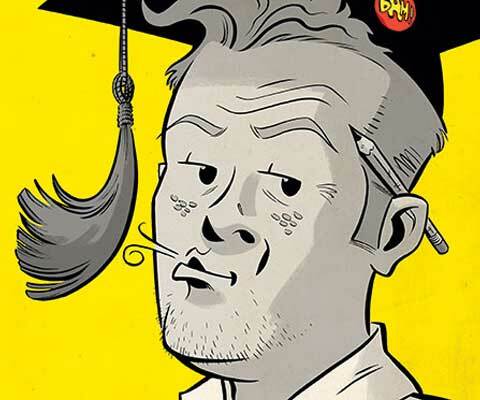 NSCAD University (Nova Scotia College of Art and Design) offers graduates the chance to launch a studio practice at four sites around the province. For artists, the residency program offers an affordable place to live and a space to work, surrounded by supportive communities. In return, they organize workshops, give lectures and hold art classes, stimulating interest in the visual arts among the public. 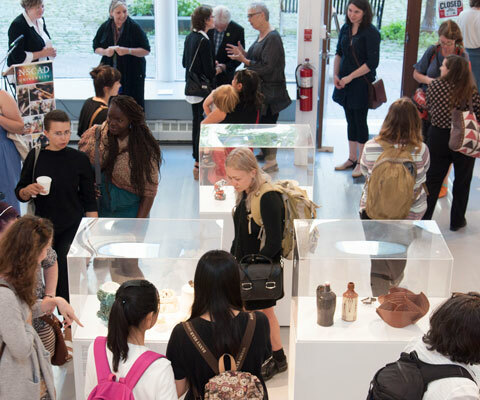 NSCAD’s first residency site in Lunenburg, NS recently marked its 10th anniversary. Many of the grads who participated in the program have stayed in the area, established careers and contributed to the community’s strong arts and culture economy. York University’s Arts, Media, Performance and Design Motion Media Studio @ Cinespace offers students a state-of-the-art studio for unparalleled experiential learning opportunities. 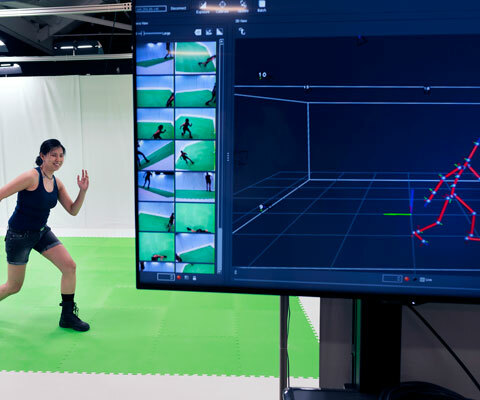 OpenStage2, for example, features an advanced motion capture system that eliminates the need for bodysuits in film animation. With this cutting-edge technology, students can create 3D animations, design interactive games and simulations, and integrate virtual performers for dance and theatre productions — all without complex setups. Alissa Antle, a professor in the School of Interactive Arts and Technology at Simon Fraser University, has developed an interactive program to help children with dyslexia learn how to read and write more effectively. 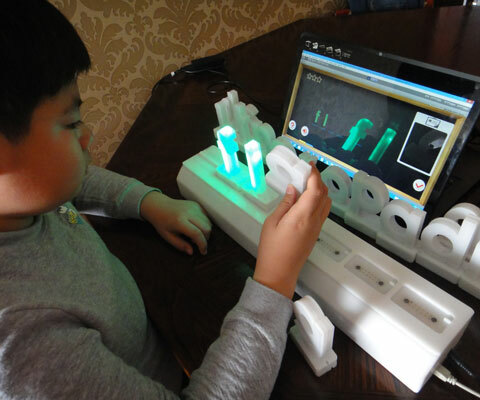 Ultimately, she envisions interactive technology that makes a difference in children’s lives rather than becoming another source of “mind candy”. Apart from her interest in children’s development, she also designs interactive technology to support collaborative learning about Indigenous heritage, as well as sustainability and social justice. 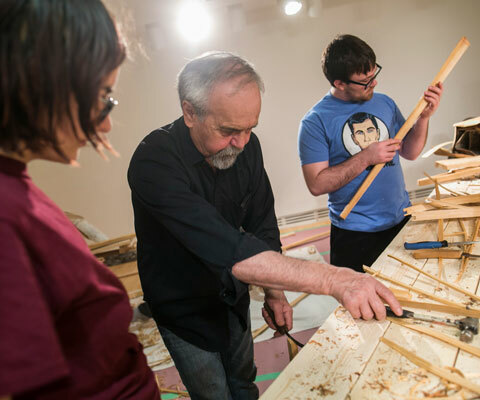 The Centre for Aboriginal Culture and Education and the Carleton University Art Gallery have teamed up on a special project for the university’s diamond anniversary in 2017: building a birchbark canoe with traditional materials and tools. The university, which sits on unceded Algonquin territory, wanted to create opportunities for experiential learning in a cross-cultural setting. Under the watchful eye of Pinock Smith, an Algonquin master canoe builder from the Kitigan Zibi Anishinabeg Nation, Indigenous and non-Indigenous students have learned by doing. Once finished, the canoe will be tested in the water. Ultimately, it will be installed in a prominent place on the main floor of the university’s MacOdrum library. The Centre for Interdisciplinary Research in Music Media and Technology, the Schulich School of Music at McGill University and Université de Montréal’s Faculty of Music are no longer marching to their own beat. Together, the three groups are creating a hub that will allow them to expand their research repertoire. 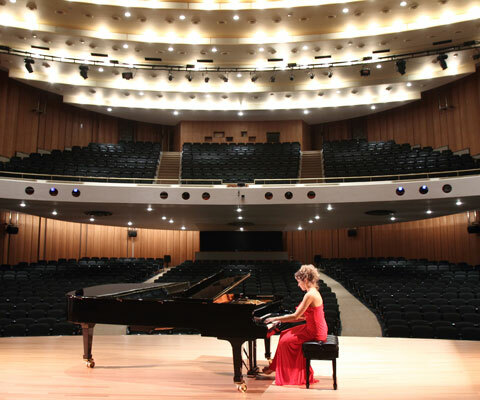 McGill’s music multimedia room is a large, sound-isolated performance lab, while Université de Montréal’s Salle Claude Champagne is a superb concert hall. These two exceptional spaces are being linked to create the world’s leading research facility for the scientific study of live performance, the spatialization of recorded sound, and distributed performance (where musicians in different locations perform together). 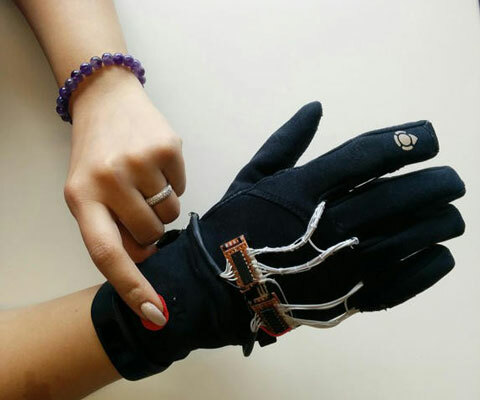 A team of graduate students at Simon Fraser University’s School of Interactive Arts and Technology has developed “Flex-N-Feel” — a pair of gloves that allow long-distance friends, families and couples to literally stay in touch. When worn, the “Flex” glove measures the bends of the user’s fingers and sends tactile sensations to the “Feel” glove, which the other person is wearing. While talking with each other on the telephone or through a video call, users can experience a unique, intimate interaction that allows them to feel more connected than ever before. It’s the next best thing to being together. For the past 25 years, Université Laval has held an annual competition known as “L’Objet” — a chance for architecture students to re-imagine everyday objects as objets d’art. In 2017, some students opted to use high-tech lasers and 3D printing, while others preferred more tactile design. 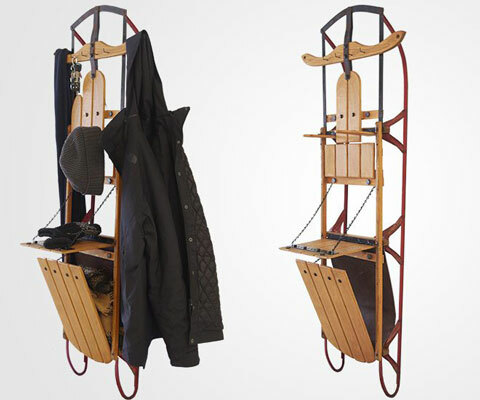 Four undergraduate students — Basma Bouhout, Laurie Desmarais, Jessica Bunker and Benjamin Himale — worked for many hours to transform the metal and wood of an old luge. With a few deft motions, the decorative object transforms into a functional wardrobe, and then back again. In 2017, more than 100 students produced 50 objects that were displayed in Quebec City’s Musée de la civilisation and the window of Simons in Old Quebec — the highest level of participation to date. Each year, York University shines a spotlight on the choreographic and performance talent of its undergraduate dancers. The 2017 edition of York Dances, created by third-year bachelor of fine arts dance students, featured 22 original works revolving around the idea of space and movement. “The environments they have created are mysterious, fantastical, desolate, animal, urban and more,” said Tracey Norman, the show’s artistic director. 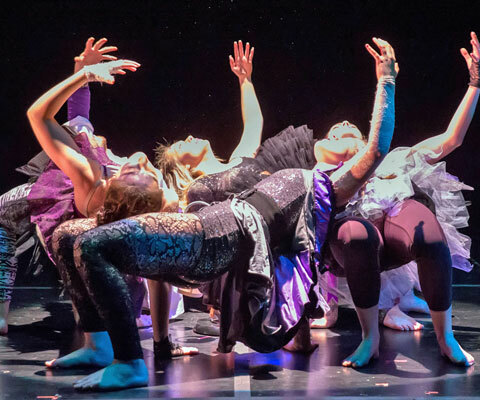 The dance ensembles followed mystical and fantastic stories that ranged from searching for solace within our cosmos and solar system, to looking for human connections through space and time, to exploring a mythological world inhabited by beautiful (and dangerous) creatures.